Now in its 11th year, Misbourne River Action is a group of volunteers from the Misbourne Valley area who are putting time and effort into rescuing and cherishing the river. 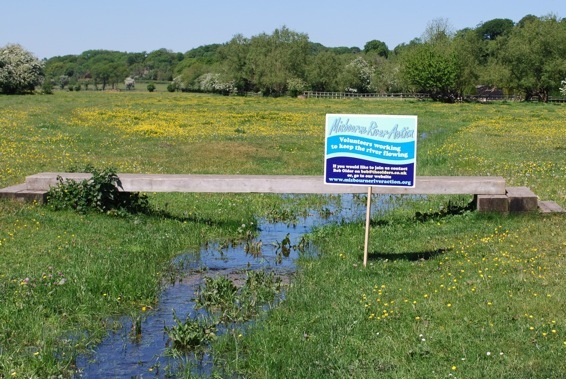 Our simple objective is to maintain the River Misbourne so that it flows as regularly as possible from its source at Great Missenden to its confluence with the River Colne at Denham. At regular intervals, working parties are tackling specific sections of the river, particularly between Amersham and Chalfont Park at Chalfont St Peter, alleviating problem areas and tending the river bed and margins. The group is also collecting photos and anecdotes of how the river was in days gone by and compiling a data repository We frequently engage with local schools, Scout Groups and other organisations to introduce them to some of the fascinating history, geography and geology of this special river. We also work with others such as the Chiltern Society and Save St Giles in lobbying and consulting with HS2, the Environment Agency, Affinity Water and local councils. No special skill, ability or expertise is required - just a wish to see the river running properly. If you would like to join us or to know more contact Bob Older by e-mail at bob@theolders.co.uk or Tel 01753 885131 or use the contact us page here. WHAT'S NEW? Flow and dip records updated from 1992 to date. Next events added.